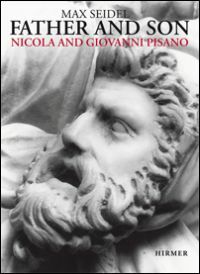 In this major study on Nicola and Giovanni Pisano, Max Seidel seeks to answer a complex question on which studies of the Pisani have focused since the nineteenth century: namely, the problem of their working relationship. He brings over forty years worth of research expertise on Nicola and Giovanni to bear on this problem in order to "contradict" all previous opinions that understand a "radical break" in their style. Instead, Seidel argues for an "unbroken continuity" in all aspects of their artistic production (11). What follows is not a typical monograph on the sculptors. Rather than analyzing their complete œuvre, Seidel focuses most of his analytic rigor on the pulpit made for the cathedral of Siena between 1265 and 1268. This monument marked an important point in both their careers, standing between, arguably, their individual masterpieces. It post-dates Nicola's first pulpit made for the Pisa Baptistery in 1260, and pre-dates Giovanni's sojourn to Pistoia where, outside of his father's shadow, he created his signature pulpit for the church of Sant'Andrea in 1300. The Siena pulpit also provides Seidel an entry into Nicola and Giovanni's collaboration, as this was one of the first instances where Giovanni worked side-by-side with his father. After the Introduction where Seidel clearly lays out his aims and methodology, the book unfolds in five long chapters. The first, Critical Fortune, contains a welcome historiographical entry into Seidel's central thesis. Here, he recounts the long history of the relationship between Nicola and Giovanni from c. 1900. Beginning with the writings of August Schmarsow and Paul Schubring who first "discovered" the stylistic "fracture" between father and son that understood Nicola as interested in ancient art for its own sake and Giovanni as a "Christian" sculptor (13), Seidel elucidates this rich and genre defining historiography magisterially. 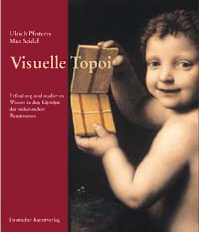 He weaves the various opinions of major art historians - e.g. Wilhelm von Bode, Erwin Panofsky, and Wilhelm R. Valentiner - into a convincing narrative that describes how the fortunes of Nicola and Giovanni were shaped by these strong opinions concerning perceived differences in style. Embedded in this grand narrative is a theme that Seidel seeks to rectify in the remainder of the books, and in my opinion does so remarkably well, namely that one sculptor was markedly more skilled than the other. Perhaps, the most interesting and surprising part of this chapter is Seidel's analysis of how an epoch defined its relationship to antiquity or the Christian Middle Ages through the reception or castigation of Nicola's sculptural style witnessed in the visual arts. For example, Seidel demonstrates how a detail of a Christian sarcophagus crushing an ancient statue in a scene of Nicola teaching his students in Friedrich Overbeck's Triumph of Religion in the Arts (1840s), reveals contemporaneous attitudes toward Nicola's training. It was during this period in Germany when a revival of the arts of early Christendom allowed Nicola to be cast as a Christian sculptor, not one who, pace Vasari, was constantly looking to ancient sources for their own sake. Rather, Nicola's aim was to conceive pagan sources in a Christian light. This theme continues in the second chapter, Research Perspectives, where Seidel offers a guide to the remainder of the book's core arguments regarding iconography and style. 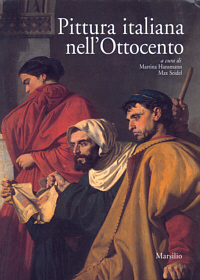 In the third chapter on Social Art History, Seidel lucidly demonstrates how the documentary evidence sheds light on Nicola and Giovanni's collaboration in Siena. Seidel measures this in terms of payment structures and working method which, for him, evidence a larger issue raised throughout the book, namely Nicola and Giovanni's social aspirations. While to my mind it is difficult to reconstruct the psychological aspirations of a medieval artist given the scant evidence we have, this nevertheless drives Seidel's analysis of many of the documents he publishes here. Yet readers should not be surprised by what he found: Nicola was paid more than his assistants and had more privileges than they did during work on the Siena pulpit; and in 1302, after Nicola's death, Giovanni surpassed his father in esteem and was paid more than Nicola was when he worked for the Pisans in the 1260s. However, Seidel does reveal some interesting facts from the documents, two of which stand out: the Pisa pulpit was explicitly referred to as the model (modellum) for the Siena pulpit, and Nicola's payment of 120 lire in 1268 was only 0.16% the cost of military expenses of Siena that year. By far the most complex and lengthy chapter in the book, the fourth, is devoted to the iconographic program of the Siena pulpit. Seidel's major contributions to this history are not necessarily his uncovering of new sources for analyses - though at times he certainly does this. Rather it is his ambitious claim that Nicola forged a new sculptural style that reflects the complex ideas expressed in the program itself. In this regard, Seidel claims Nicola "invented" what he terms "micro-iconography" (119). Micro-iconography makes use of small details that would only be recognized by a small circle of connoisseurs. In this case, these medieval Morellians would be the clergy, university members, and the artistic elite. While this is certainly difficult to prove, it is true that like all of the pulpits produced by Nicola and Giovanni, the Siena example teems with details that might go unnoticed by the naked eye. A telling example is the minute detail of the star of Islam adoring Herod's crown in the relief of the Flight into Egypt. Seidel admits that to call such a small detail political propaganda might seem contradictory. Yet given the textual and visual evidence regarding crusader iconography from preceding decades and contemporaneous times he marshals, in terms of micro-iconography and the general crusading mentality of the Italian city-states it seems plausible that the Sienese Christian might have understood Herod as a type of Saracen. However, I believe Seidel pushes this interpretation too far when he suggests that the Massacre of the Innocents would have reminded the Sienese public of an event in 1212 known as the Children's Crusade. Seidel provides no direct evidence that Siena participated in financing this crusade, unlike Genoa and Pisa. To make this claim convincingly without falling back on a universalizing iconographic analysis, Seidel would have to interpret the micro-politics in Siena at the time in terms of their attitude to this specific event. Without this evidence, one could make this argument for any depiction of the Innocent after 1212, thus rendering Nicola's banal in the end. This does not take away, however, from Seidel's persuasive use of iconography to explain larger stylistic questions. In this regard he usually avoids the pitfalls of a purely speculative iconography by presenting new research into old themes. One instance of this can be seen in how he understands the Pisani's knowledge of contemporary science. He compares the flaming cornucopia held by Philosophia to the flame Caritas holds in terms of Bonaventure's theory of light. Bonaventure believed that the intensity of luminosity rises the closer one gets to heaven. In the Siena pulpit, Caritas' flame is noticeably larger than Philosophia's flame and also located higher on the vertical axis of the pulpit. Seidel understands this as reflecting not only a deep knowledge of Franciscan metaphysics but also the relationship between philosophy and theological virtues in formal terms. Throughout this chapter Seidel's comparative use of Italian Romanesque examples refreshingly reveals that the Pisani were not only interested in antique and French Gothic sources, something that should be plainly obvious but is not often expressed in scholarship. And he expands this type of comparative analysis in the final chapter on the dialog between the two sculptors. In many ways this acts as his conclusion where he reconsiders the so called rivalry between Nicola and Giovanni in terms of style, questioning the age-old thesis that Giovanni traveled north and revisiting the scope of antique influence. Regardless, a book of this magnitude and focus cannot cover everything and this omission does not take away from the book's strengths. 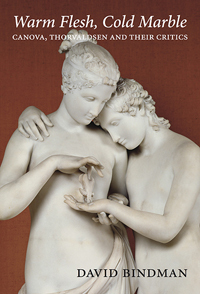 With a second volume devoted to high-quality photographs that reinforces the idea of "micro-iconography" and allows for serious comparative study of Nicola and Giovanni's sculpture, Seidel's book marks a watershed in Pisani studies - one that future scholars will have to take seriously for decades to come. 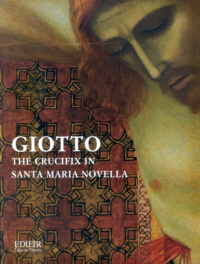 Jules Lubbock: Storytelling in Christian Art from Giotto to Donatello, New Haven 2006.